Kärcher professional snow throwers are fast, convenient and efficient. Their 4-stroke engines deliver high power, excellent fuel efficiency and trouble-free cold starts, enabling you to keep your business running. 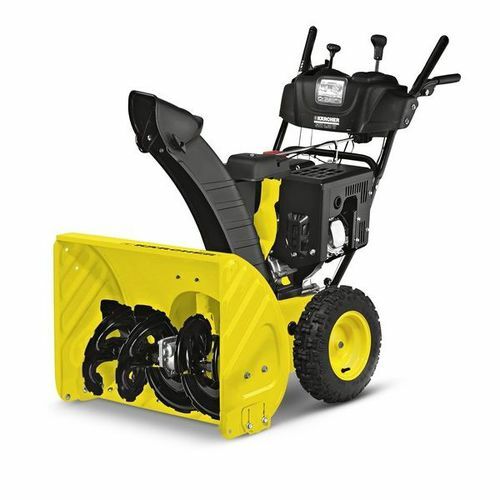 The machines feature a two-stage snow pull-in and discharge design to provide a high clearing capacity, even in deep and hard packed snow. The STH 8.66 model has a clearing width of 66 cm, and a 4-stroke 6kW petrol engine. The 8.66 also features electric start, working light, and clutch lock for one-handed operation.